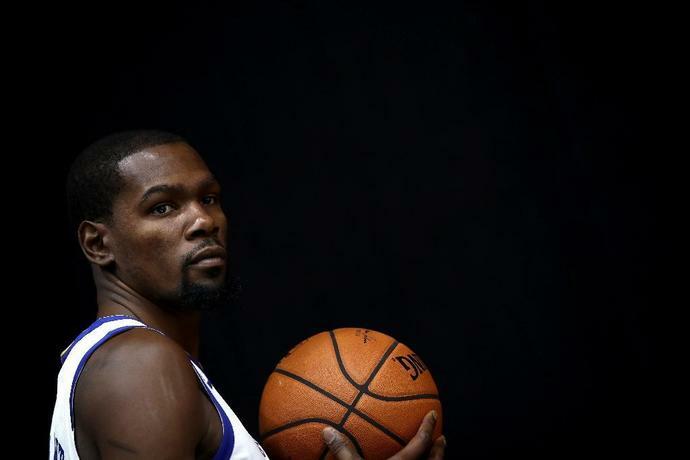 San Francisco (AFP) - Kevin Durant feels at home with the Golden State Warriors but admits he has made no decision regarding his future when he enters free agency next year. "But I really, really feel like a part of this team. We got two banners up there, my picture's around here somewhere so I feel like I'm a part of this thing -- but at the end of the day, we're staying in the moment." Durant's immediate focus is on helping the Warriors extend their dynasty. "We're trying to embrace every single moment," Durant said. "I'm not saying we're going to win a championship at all, but we're just focused on having a good practice today, having a good practice tomorrow and then we'll see what happens at the end."